Vice President Joe Biden appeared on CBS' "Late Show with David Letterman" Thursday night to read the "Top 10 good things about voting early." Biden read the list with a straight face but, of course, cracked plenty of jokes in the list. No. 10, for instance, was: "I'm not saying each early voter gets a free cheeseburger, but I'm not saying they don't either." He also poked fun at himself, using words he's notoriously known for using frequently, such as "literally" and "malarkey." No. 3 on the list was, "Not exercising your right to vote is malarkey - it's literally malarkey." No. 1 on the list: "Honestly, don't you want this election over with already?" 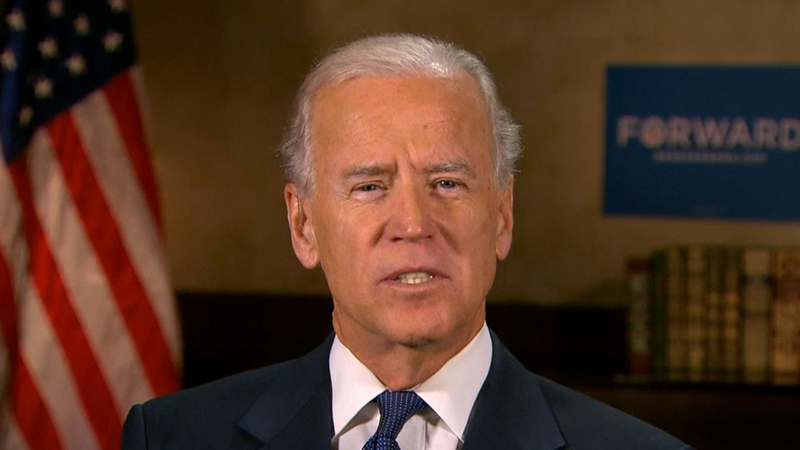 Biden pre-taped the segment from a hotel in Davenport, Iowa, where he was on the campaign trail. The segment gave the Obama campaign one more way to spread the word about early voting, which has become increasingly significant. This year early voting should account for at least 30 percent of ballots cast. Before Biden read the list, host David Letterman joked, "I always thought it was Election Day you vote, and now apparently you can vote any time you want." In 2008, when then-Sen. Obama decisively won a number of swing states, some polling experts said they knew he had won a week before the election because of early voting results. So far, Mr. Obama has the lead in early ballots cast in many swing states, although Romney is so far performing better than John McCain's 2008 campaign did in early voting.